Slowly but surely, Generation Xers have been taking over from Baby Boomers as the majority of parents in elementary and secondary education. In the early 1990s, Gen Xers began joining parent-teacher associations in the nation’s elementary schools. Around 2005, they became the majority of middle school parents. By the fall of 2008, they took over as the predominant parents of high school seniors. Gen-X parents and Boomer parents belong to two neighboring generations, each possessing its own location in history and its own peer personality. They are similar in some respects, but clearly different in others. Throughout the 1990s, educators grew accustomed to “helicopter parents,” Boomer parents of Millennials who sometimes are helpful, sometimes annoying, yet always hovering over their children and making noise. Today, behold the era of the Gen-X “stealth-fighter parent.” Stealth-fighter parents do not hover. They choose when and where they will attack. If the issue seems below their threshold of importance, they save their energy and let it go entirely. But if it crosses their threshold and shows up on their radar, they will strike — rapidly, in force and often with no warning. Boomers always have cared deeply about the higher moral and civic goals of education, for the ultimate purpose (recall the ’60s!) of creating a more ethical and socially conscious community. Gen-X moms and dads tend to be more interested in how the right school will create concrete opportunities for their own children. Many Gen Xers believe they live in an individualistic world in which there is no common interest and people do best by looking out for their own interests. As voters, they are less sympathetic than Boomers to cross subsidies and state equalization formulas and more intent on preserving local funds for local purposes. As parents, they will be more exclusively focused on their own child than the good of the school. While Boomers might volunteer for a districtwide curriculum committee, Gen-X parents will prefer to be a class chaperone, which directly benefits (and allows them personally to monitor) their own child. Boomer helicopter parents generally assume the rewards of school and college are vast but impossible to measure. But stealth-fighter parents are more likely to assume that anything immeasurable is untrustworthy. Back when Xers were graduating from K-12, one blue ribbon commission after another told them their schools had failed and that the passionate hopes of ’60s reformers had miscarried. Now they want proof their children won’t have the same problem. This local, pragmatic, bottom-line perspective certainly contrasts with the more global, idealistic and aspirational perspective of Boomers. It has driven the rapid growth of parent-teacher organizations that opt out of any affiliation to the National Parent Teacher Association. According to many younger parents, the PTA is simply too large, too inflexible, too politically correct and too deferential to the educational establishment. Skeptical of grandiose claims and worried about making ends meet economically, most Gen Xers are acutely sensitive to the prices they pay and the value they receive in return. As voters, they may doubt that a routine tax or fee is really worth whatever schools are buying with it. As parents, they comparison shop to make sure a school’s reputation or brand is worth all the life costs they must incur (including mortgage payments and property taxes) for their children to attend. When you talk generations, the first thing most people want to know is where they fit. They are always looking for a discount or shortcut. While Boomers may brag about how much they paid for a BMW, Gen Xers are more likely to brag about how little they paid. As a whole, Gen Xers feel comfortable with market outcomes — and most Gen-X parents expect schools to be run like customer-oriented businesses. As with other purchases and investments, Gen Xers believe their children’s education should be a fair and open transaction with complete and accurate information and unconstrained consumer choice. They will evaluate the transaction on the basis of the value it appears to offer. If it doesn’t offer the right value, they will take their business elsewhere — whether another school district, a charter school, a private school or home schooling. It is practically impossible to persuade most Gen-X parents they should relinquish their choice for the sake of some great public good. Administrators long have complained about Boomer helicopter parents who argue endlessly with teachers and administrators whenever their child encounters a problem. Gen-X stealth-fighter parents are less likely to argue at great length and more likely to find a loophole, buck rank or go quickly to a confrontational posture. Some Xers may skip the discussion stage entirely and move immediately to a decisive action — suddenly filing a lawsuit, for example, or withdrawing their child from a school with no warning. Employers already notice this difference with Gen Xers as employees. When they don’t like their boss, they don’t talk, they walk. As K-12 parents, they will walk with their child. • Assume no trust. Market to them, spell out the rules and start relationships early. To win over Gen-X consumers, almost every industry — from autos to health insurance plans to financial and legal services — is trying to build trust by assuming no brand loyalty, by rejustifying product value from the ground up and by educating buyers about what they must do in order for the product to work as expected. K-12 schools will get along better with Gen X if they take a similar approach. First, assume no trust. Given their generally positive or at least empowering experience with education institutions, Boomers generally have trusted the school bureaucracy to do right by their children. Not today’s younger parents. Schools must gird themselves for Xers who feel they have no reason to trust the schools’ competence — and take steps to justify their performance in every area, from physical safety to academic achievement. Second, market to them. More business oriented than Boomers, Gen Xers are impressed by marketing skills that enable an institution to make its best case quickly and easily to busy consumers. Incredibly, public school districts routinely bury favorable findings about their performance in unreadable memos, while allowing the media to shape negative findings without rebuttal. Most districts would benefit by hiring a marketing consultant. To Gen Xers, who disproportionately fill the ranks of America’s sales and marketing workforce, the inability to shape and pro-ject a clear message is itself a symptom of incompetence. Third, spell out the rules. Gen Xers, accustomed to thriving in a high-option marketplace, tend to believe they have a right to anything not explicitly denied them in the contract. When introducing themselves to parents, K-12 districts should explicitly spell out the reciprocal obligations of parents and schools — and enumerate concretely where the school will take the lead (and parents should not interfere) and where parents must pitch in to ensure student success. Like many colleges, schools can frame this agreement as a contract or a covenant. While not legally binding, this document will catch the attention of these parents, who always want to know the rules of the game. Finally, schools should make every effort to start their relationship with parents early and on their own terms before there is a problem. If a child ends up failing an exam or being suspended for misbehavior, the teacher or counselor could be an ally in whom the parent confides — or an enemy the parent fights tooth and nail. The first meeting often makes all the difference. • Stress personal accountability and personal contribution. Compared to Boomers, Gen Xers are less likely to trust good intentions or a well-designed institutional process and more likely to trust bottom-line incentives and personal accountability. They don’t want to see guidelines and flowcharts outlining a school’s emergency response plan or curriculum acceleration plan. What they want to see is a real person who is concretely accountable for the outcome. School leaders should stress a chain of personal accountability for anything that goes wrong, particularly in zero-tolerance areas like school safety. Designate a go-to person for everything from fire drills to hall monitoring to student counseling and mental health. In their own market-oriented lives, Gen Xers are accustomed to bottom-line incentives (“win this contract and get a bonus; lose it and you’re fired”) and often are suspicious of institutions where individual accountability never seems to enter the picture. Showcasing accountability will also help draw Gen-X parents into volunteering for tasks that don’t involve their own children. Give Gen Xers “ownership” of the project. Make sure they understand they are helping real people, not just “the system.” And find creative ways to reward them if it goes well, as many of these parents are entrepreneurial. • Offer data, standards, transparency and return on investment. Gen-X parents want measurable standards for schools, teachers and students. They want to know how those standards are linked to career and life success. They want to see data measuring the achievement of those standards. And they expect transparency in all important deliberations about strategy. Xer constituents will call on school boards to show in detail that each tax dollar serves a concrete purpose for their children’s education. They are less likely than Boomers to accept credentials (of schools, administrators and teachers) at face value and will want access to data on everything from hiring practices to teacher evaluations. Gen-X parents will be especially prone to pounce on issues that affect student success. Schools will face rising pressure to offer accurate and comprehensible information on all their evaluation systems — from consistency in grade point averages and Advanced Placement scores across schools and courses to procedures for assigning class levels and evaluating disabilities. Above all, educators should collect data on what happens to students after graduation. Gen-X parents often are astonished to find out how little schools know about long-term student outcomes. After all, in the marketplace companies are judged, continuously and without mercy, according to how well their products measure up. Gen-X parents will demand more than graduation and college enrollment rates. They will want to know the documented career outcomes and earnings capabilities of graduates five and 10 years down the road. They also may want to see data comparing long-term outcomes among an array of choices, such as “stopping out” of school for a year, home schooling, entering a career academy, loading up on AP courses, using community college as a stepping stone for a four-year degree and so on. Gen Xers want to advise their child in the same way they manage their finances: hands on, eyes open, all options on the table. • Offer real-time service (the “Fed-Ex” test). Gen-X parents will apply the “FedEx” test to their children’s schools, expecting the service to be cheerful, fast and efficient, with information and options in real time, online, 24/7. As educators are already beginning to note, those once-per-semester parent-teacher nights, snail-mail notifications and rotary phone tree messages no longer will cut it. If Gen-X parents can get instant, real-time information on something as trivial as a package, why should they stay in the dark about their child’s academic performance? School leaders should use digital technology to offer parents continuous access and include them in a tight cycle of intervention and redirection whenever their children hit an educational snag. Course management systems like Edline, which allow teachers to record and track each student’s performance every day, also can be used to instantly share performance data with parents. Some years down the road (when fewer Baby Boomers are left to object), schools may even install real-time video monitoring systems that let parents tune in to whatever is happening in their child’s classroom. • Present your school as the best parent choice in a competitive market. Ever since their children first entered elementary school, Gen Xers have been the most vocal constituency for education policies that empower parent choice, including vouchers, magnet schools and home schooling. Even within the public school system, the share of parents who say they “chose” (rather than being “assigned to”) their public school has grown steadily, from 11 percent in 1993 to 15 percent in 2003 to 18 percent in 2007. Public school leaders who have grown accustomed to their role as default educators will no longer enjoy this luxury. Both public and private school leaders need to market their schools as top-notch options in a competitive education market and persuade parents they do indeed deliver the goods. Gen Xers like being informed and energetic consumers. When Gen-X parents perceive they really are choosing a school, their enthusiasm and goodwill can be beneficial. When they perceive they don’t have any real choice, however, educators should prepare for a strong backlash over any policy event that reinforces their sense of being “trapped” (such as a decision to close down or combine schools or to redraw district lines). Boomers, while often complaining, usually end up adapting themselves to whatever the system dishes out. Gen Xers are more likely to fight tooth and nail and even “game the system” to send their child to the school they decide is best. • Prepare for the modular “opt-out” consumer and the innovative high-tech competitor. Gen Xers like to compartmentalize, viewing every transaction as a menu-driven series of discrete and modular choices. Across America, Gen-X consumers are dealing out the middleperson, avoiding product packages and demanding every item be customized to their tastes. Why buy a whole CD when you can purchase just the one song you like on iTunes? Similarly, when making educational choices for their children, they may wonder why they should sign on for the whole K-12 package when parts of it may not be a perfect fit for their special child. Many will want to split the K-12 experience into its components and pick and choose exactly what they want for their children. If a high school student wants to take a course that is not offered, can he take it online or at a community college for credit? If a middle schooler is passionate about fencing, can she opt out of physical education to take lessons? If she wants to study marine biology, can she attend the career academy across town in the afternoons? If a student drops out, is there a customized, high-tech substitute to get that high school degree? If a certain school fails to facilitate this level of customization, Gen-X parents will take their business elsewhere. As Gen-X parents generate a rising demand for a wide spectrum of educational choices and credential substitutes over the next couple of decades, other Gen Xers entering midlife are likely to rise up to meet this demand. Gen-X entrepreneurs will find ways to provide new options outside the traditional school setting, through auxiliary programs, online courses, career modules and home-schooling aids. Gen-X info-tech designers will steadily improve the efficacy, flexibility, interactivity and entertainment value of teaching tools. Meanwhile, as Gen-X voters, executives and elected officials replace Boomers in top leadership roles, they may agree to relax the credentials and help legitimize these end runs around the system. K-12 schools can deal with these new options by working with them, adopting them or outcompeting them. They cannot simply ignore them. In the coming era of accountability, K-12 leaders need to face up to the rising tide of Gen-X parents. Schools that figure it out, collect the right data and market themselves intelligently to this new generation of parents will be able to rebrand themselves for success in the decades ahead. 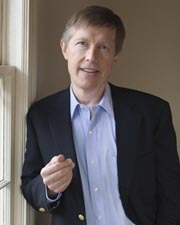 Neil Howe is president and co-founder of LifeCourse Associates in Great Falls, Va. E-mail: howe@lifecourse.com. He is the author of the AASA book Millennials & K-12 Schools (AASA members save 5% using coupon code AASA at checkout). He is also the author of the forthcoming book Millennials in the Workplace: Human Resource Strategies for a New Generation. Click here to let us know what you thought about this article.